The Elite Silent is a self contained, walk behind professional carpet cleaner. 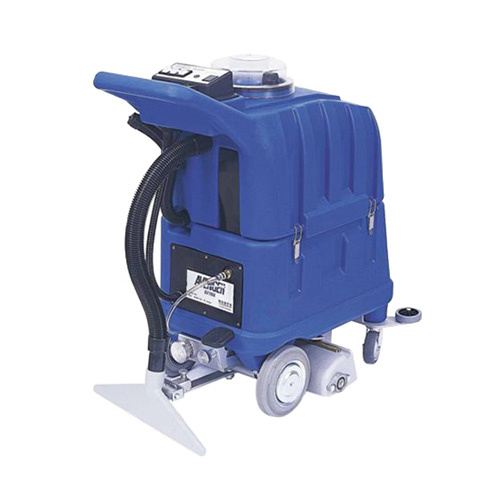 Designed to clean large areas of carpet it shampoos and dries a 50cm path with its built in rotating brush and squeegee. It also has a modular design that allows its tanks to be separated for transport. It's ultra quiet nature makes it ideal for the commercial grade cleaning of offices, hotels, schools, aged care and healthcare facilities. Note: The instant heating unit, one of the accessories for this product, is a system that allows dirty textiles and carpets to be cleaned with hot water immediately after the machine is turned on. Allowing operators to quickly cut through greasy, dirty build ups leaving behind a professional clean.